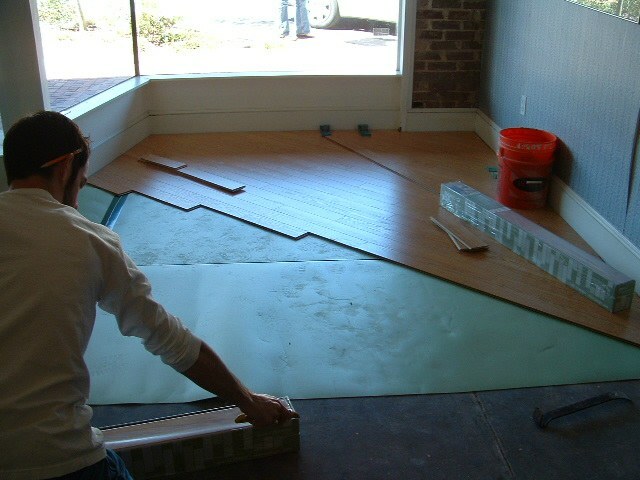 Installing laminate at 45 degree angle (or diagonally) is more time consuming than installing it parallel to the walls. The reason for this is that every cut is at an angle, which takes more time to measure each board. You may even end up with more waste. It can really spice up a room with this type of installation. If you are paying an installer to do it, expect to pay more for labor. 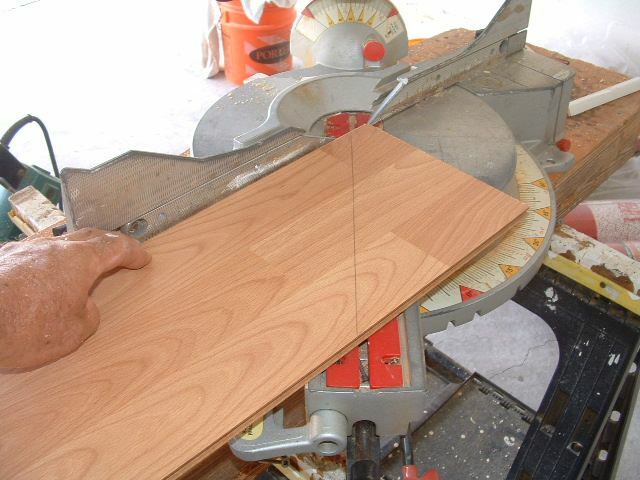 Basically to install laminate at 45 degrees means that you will cut the ends of each board at 45 degrees. Using a miter saw is the easiest way to cut them. If you don't have a miter saw, you can use a carpenters square to mark each board and use a different type of saw. Since most walls are not always square, the angle may not always be 45 degrees. You may have to make slight adjustments. 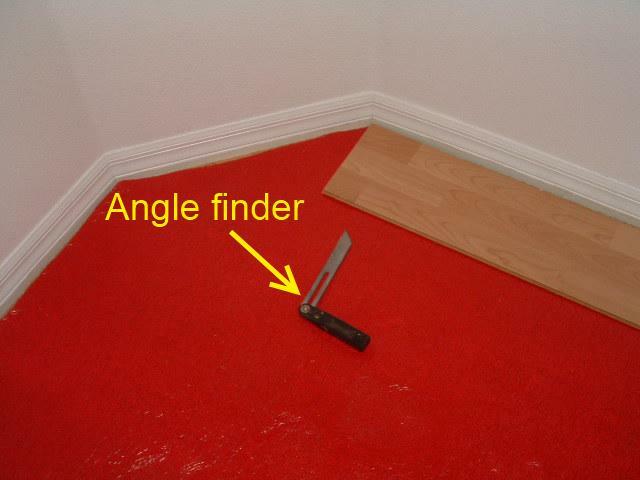 Using a simple tool called an angle finder is handy to find the correct angle. They sell this simple tool at Home Depot or Lowes for a few dollars. 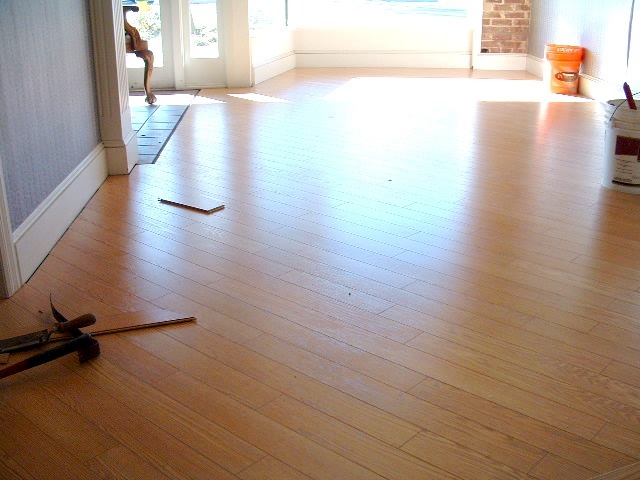 This installation is Pergo narrow board laminate flooring installed in a commercial building. When Installing laminate at 45 degree angle, its best to start in a corner. All the ends will be cut at a 45 degree angle, more or less. Sometimes the walls are not made perfectly square so you may have to adjust the angle your cutting. One of the difficulties of installing laminate at 45 degrees is, its hard to hold the floor still. It tends to move around while your installing it. I try to use adjustable spacers to keep it in place. Its good to mark on the wall where the ends are when you start so you will know if it moves. 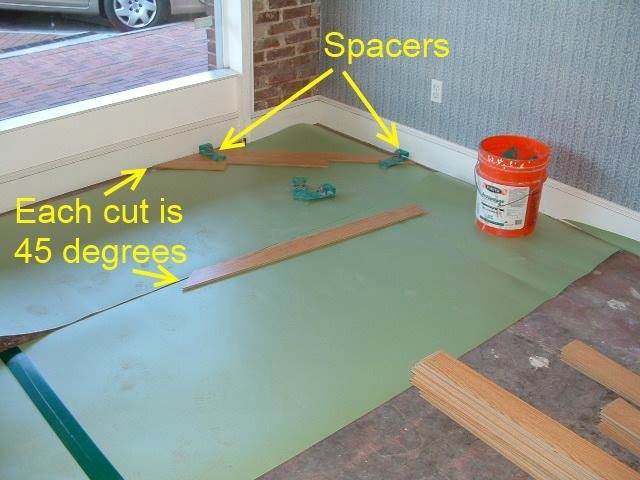 If your installing over a wood sub floor you may be able to screw some temporary board down to hold your floor in place. As you progress across the room the floor shouldn't move around as much unless your using a tapping block a lot.